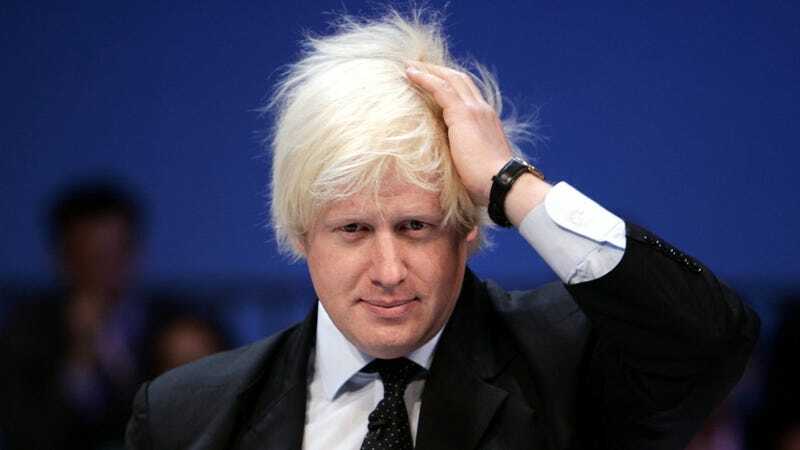 London mayor/burgeoning comedian Boris Johnson recently told attendees at the launch of the World Islamic Economic Forum that Malaysian women only go to college to snag husbands. Chill out, feminist shrews: it was just a joke! [Johnson] made the remark at the launch of the World Islamic Economic Forum (WIEF) at City Hall, London, where he appeared alongside the Malaysian prime minister, Najib Razak. Asked about the role of women in Islamic societies, Razak said: "Before coming here, my officials have told me that the latest university intake in Malaysia, a Muslim country, 68% will be women entering our universities." Numerous reporters who were also there said Johnson's comments were sexist (Does that really need to be said? Apparently! ), although "clearly a joke," as The Evening Standard's political correspondent Pippa Crerar wrote, adding that it was "met with the groans it deserved." Here's the thing about jokes: they're not funny if they don't incorporate an element of truth. Johnson's comment wasn't an attempt at subverting the antiquated notion that women go to school to get their Mrs. degree; he clearly cracked the joke because he thinks most women want access to husbands more than they want access to higher education, and he has no problem propagating that belief in a very public forum — to the leader of a country, no less. Unsurprisingly, this isn't the first time Johnson has been accused of sexism. "The mayor was confronted with a dossier of public exchanges made during his four-year term, to highlight concerns over his 'disrespectful, patronising way at meetings' towards female assembly members that 'you do not display when dealing with male assembly members,' according to Jennette Arnold, Labour chair of the assembly." We're sure all that was said in jest, too. Lol!